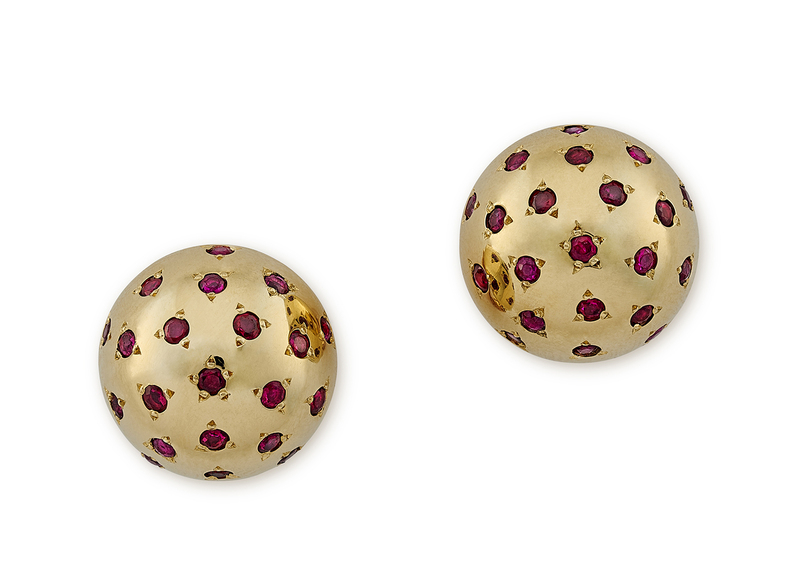 the domed yellow gold earrings studded with brilliant cut rubies within engraved starbursts. Van Cleef and Arpels. Paris, circa 1945.